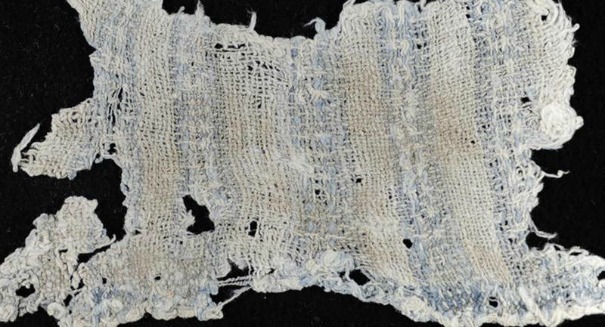 A 6,200-year-old fabric found in Peru has led scientists to a truly astonishing conclusion. Scientists have made a facinating discovery in the South American nation of Peru: the oldest known fabric ever found with blue dye on it at 6,200 years old. The previous record for blue-dyed fabric was about 4,400 years ago in Egypt, and scientists have only been able to go back 5,000 years to find the oldest written references to blue dye. But this discovery in Peru shows how surprisingly advanced civilizations in South America were compared to the rest of the world at the time, and they were in fact also making important scientific and technological contributions, according to a George Washington University statement. These dyed fabrics are scraps made from woven cotton, and they were excavated back in 2007 and 2008 at a site called Huaca Prieta near the city of Truillo on the coast of Peru. This site is important because it is the location of a prehistoric dwelling that has been a hotbed of scientific activity lately. They found this fabric sealed under layers of building. It doesn’t look blue now, because ash had sunk into them, but the blue started to show when conservationists washed the textiles. The compound indigoid is used to make the blue color.